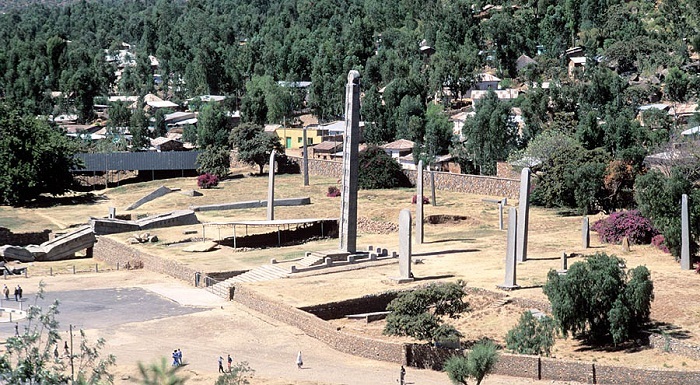 Obelisk of Axum is a granite obelisk, also known as stelae, which is some 1,700 years old, located in the city of Axum, in the Federal Democratic Republic of Ethiopia. 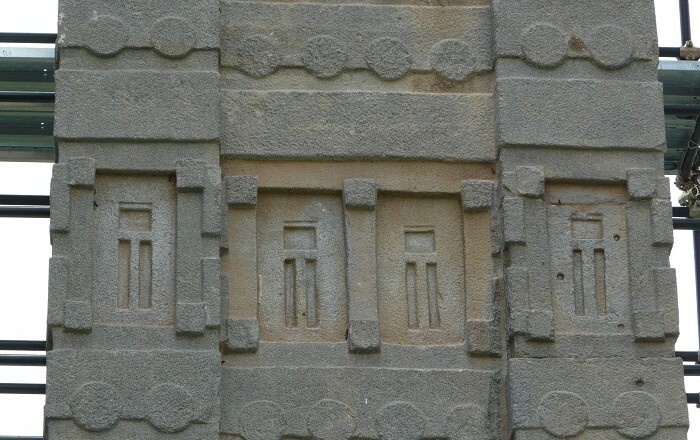 Situated in the highlands of northern Ethiopia, Aksum symbolizes the wealth and importance of the civilization of the ancient Aksumite kingdom, also known as the Aksumite Empire, which was a trading nation in the area of Eritrea and northern Ethiopia, which existed from approximately 100 to 940 AD. 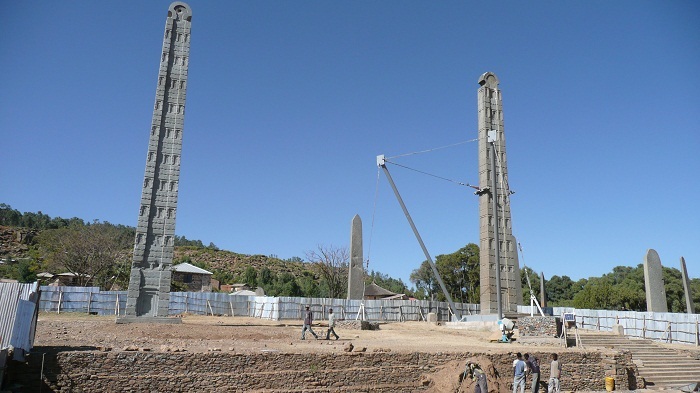 The Axumites erected a number of large stelae, which served a religious purpose in pre-Christian times, and one of those is Obelisk of Axum. 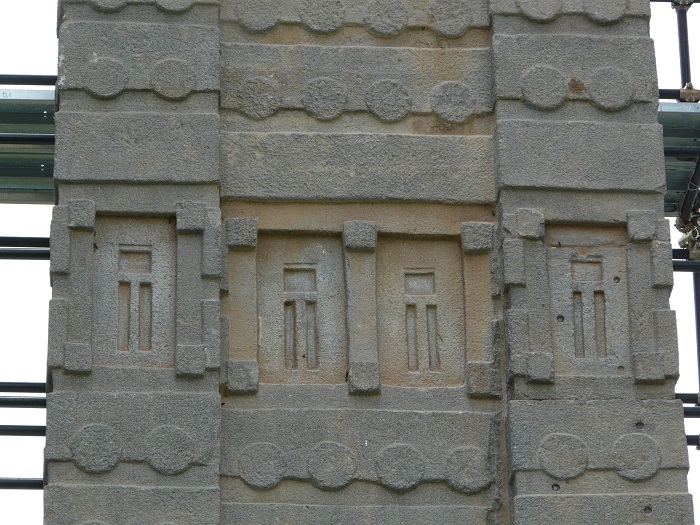 It is ornamented with two false doors at the base and features decorations resembling windows on all sides, ending in a semi-circular top part, which used to be enclosed by metal frames. 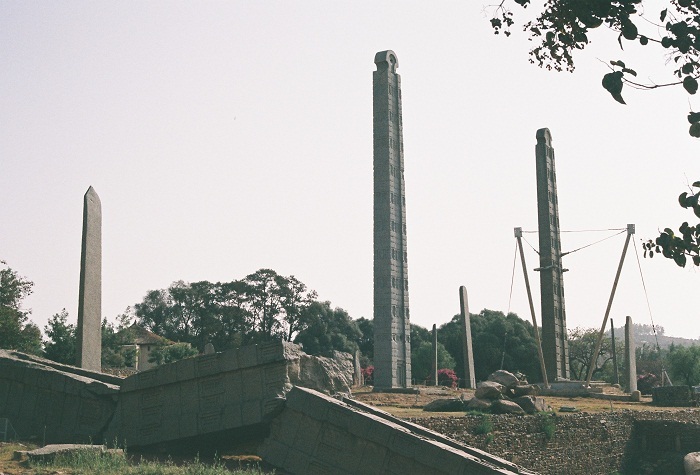 Nowadays, several stelae survive in the town of Aksum dating between the 3rd and 4th centuries AD, where the largest standing obelisk rises to a height of over 23 meters and is exquisitely carved to represent a nine floors building of the Aksumites. 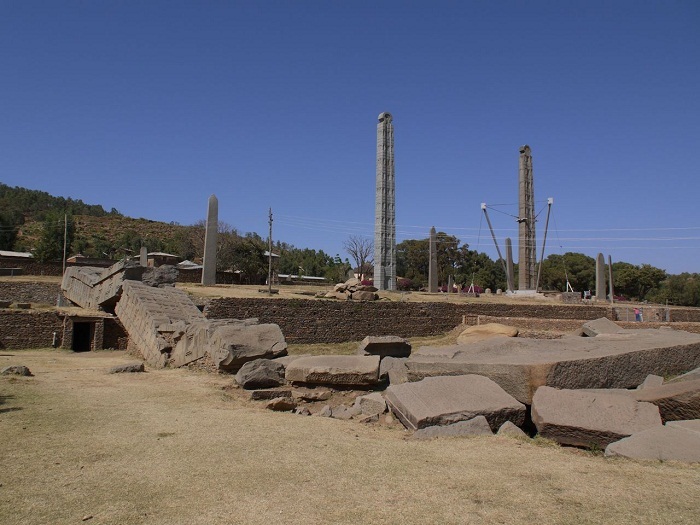 The largest obelisk of some 33 meters long lies where it fell, perhaps during the process of erection, and most likely is the largest monolithic stele that ancient human beings ever attempted to erect. 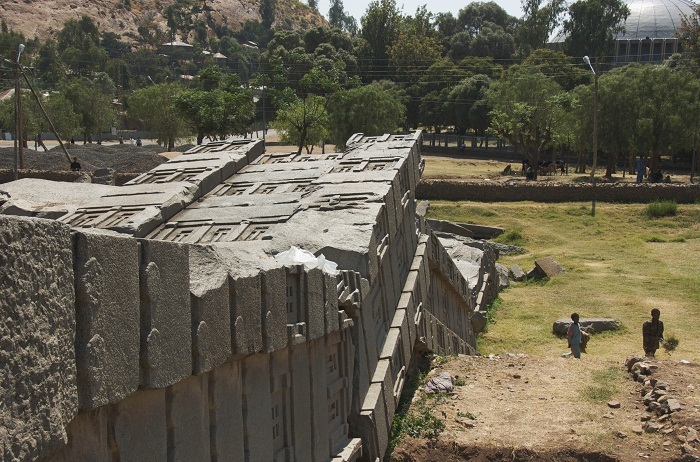 Over the course of time, many of these stelae fell to the ground due to the structural collapse, earthquakes, or military incursions of the Imam Ahmad Gragn during the Ethiopian-Adal War. 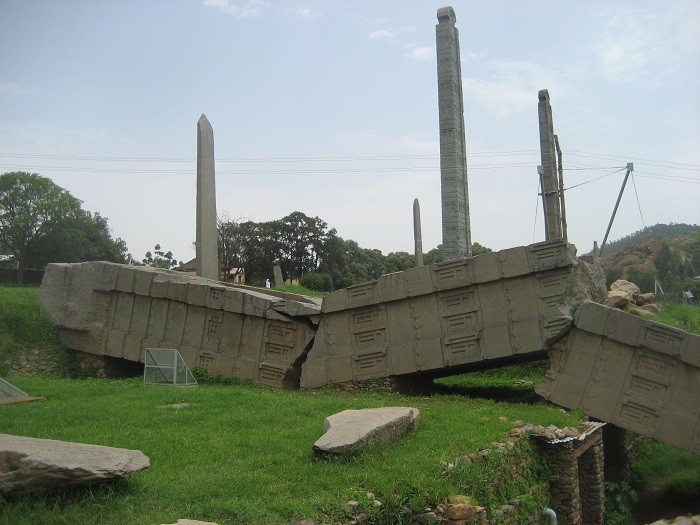 In 1937, the Obelisk of Axum was cut into six sections and dragged to the port of Massawa, where it was shipped to the port of Naples, so that it would be placed in Porta Capena Square in Rome, Italy. 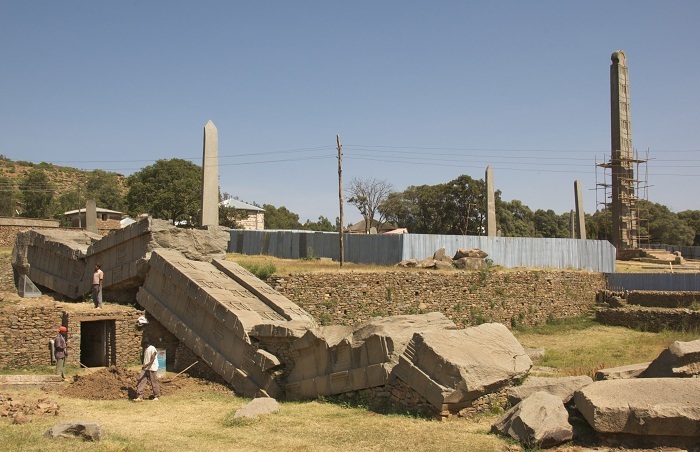 The Obelisk stood near the Circus Maximus until 2003, when it was cut into three pieces this time and transported with Antonov-124 back to Ethiopia. Nowadays, part of the World Heritage List of UNESCO, which was inscribed in 1980, it is one really important landmark of Ethiopia which makes the Ethiopian people proud of their country’s history.